Remember when we used to hear Prince’s song Party like it’s 1999 and it seemed so far into the future. How about year 2020? Well it is just about here, less than three and half years away. Like the show The Jetsons, it is now a reality. Today, robots assemble our cars and move Amazon fulfillment center shelves around. Many Customers get irritated when talking to Customer service reps who seem to just be going through the motions, giving us scripted answers, rushing because they are trying to adhere to their allowed time per call. If you think that is bad, just wait –the future is here. Within a few short years, we will be talking to actual robots working in contact centers. 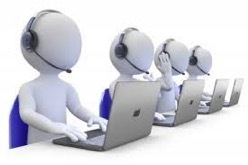 Many companies that run outsourced call centers are working towards turning these jobs over to machines. An article that appeared in The Consumerist titled As Expected, Robots Are Taking Over Call Center Jobs, tells how advances in artificial intelligence will mean that call center representatives and chat representatives can be replaced with cheap and reliable workers who don’t need sleep or meal breaks. Is Your Business Uber proof? Make no mistake about it; every industry has an Uber coming. And every business is in danger of being made obsolete as some new business model, with cutting edge technology, enters your industry and market and steals the majority of your market share. Digital disruption is the new buzzword in business, warns cmswire.com in their article Has Your Business Been Ubered? The highest rated Secret Service Summit speaker (9.84) of all time is back, which makes Tim Gard our GOAT (Greatest of All Time). 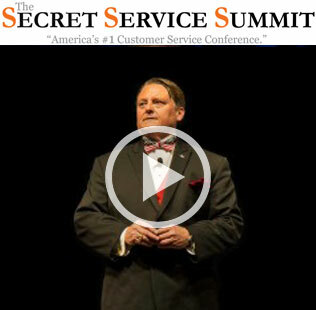 Any of more than 500 people that attended the 2014 Secret Service Summit can attest Tim, a Hall of Fame Speaker, is a tears-in-your-eyes funny speaker who teaches people to be more resilient and resourceful when dealing with our crazy lives today. Besides being selected by Meeting Planners Magazine as one of the “Best speakers ever seen or heard on the main stage,” Tim also possesses the incredible ability to Emcee an event, where he entertains the audiences as well as ties together the takeaways of each of the amazing speakers you will hear at this years Secret Service Summit September 29th & 30th in Cleveland, Ohio. Customer Experience Journey Mapping Class: Just 7 seats left! 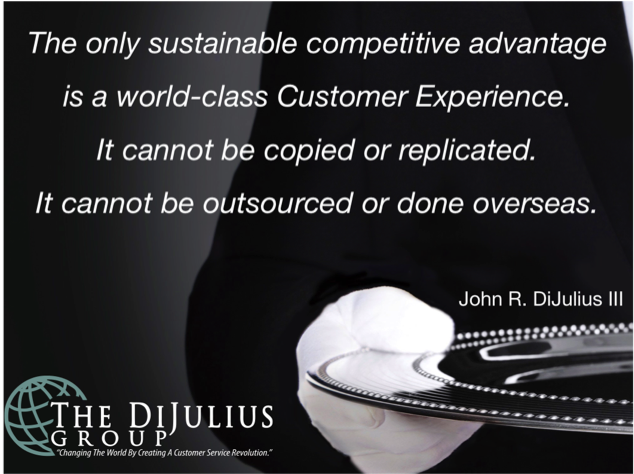 This 2 day, one of a kind class is taught by The DiJulius Group, this August 3-4. In this class, you will learn to develop and facilitate a Customer Experience Journey Map for companies in any industry, and become a certified Secret Service agent. The Customer Experience Journey Map provides a complete picture of the Customer interaction. It is a tool to help companies see what their Customers really want. When you complete this class, you will have the tools to develop any organization’s journey map. Secret Service uses hidden systems to deliver unforgettable Customer service. As a Certified Secret Service Agent, you will have the knowledge to train your company or clients in the same “Secret Service Systems” used by the top service companies in the world. This class is by application only. By application only. Reserve yours here today!